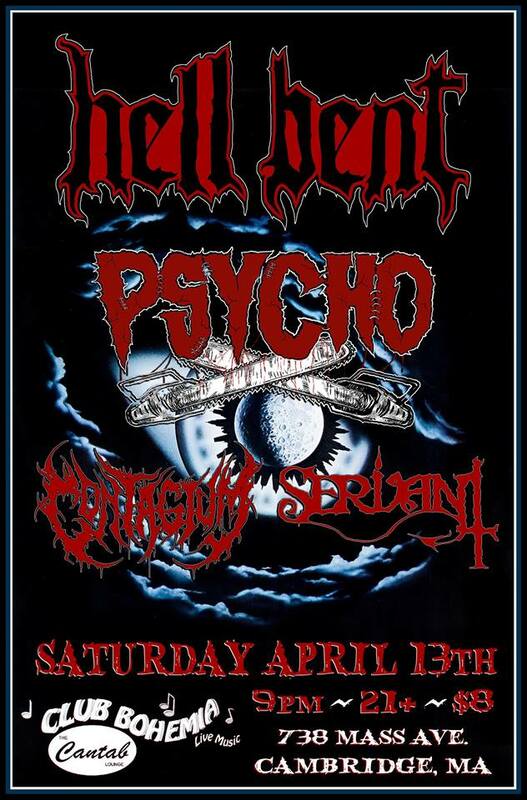 $10.00 doors at 8:00PM Music Starts at around 8:00PM! 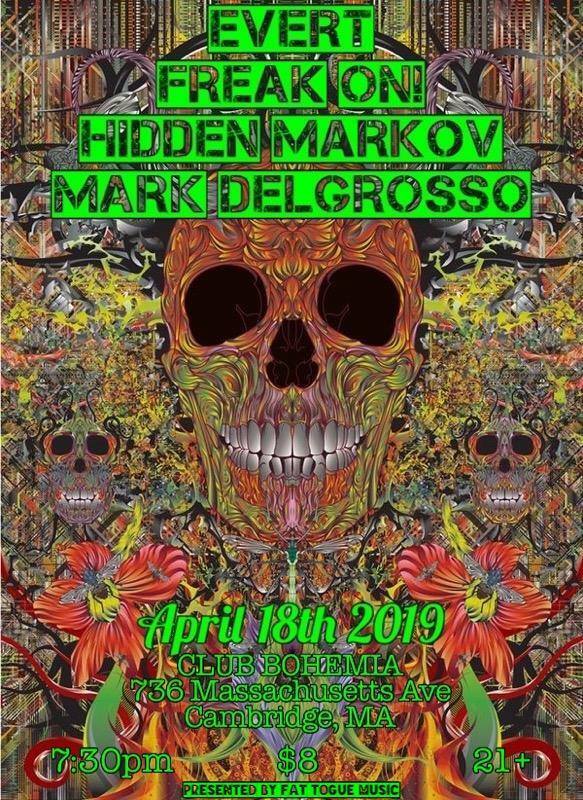 Thurs April 18th its: EVERT, Freak On, Hidden Markov and Mark DelGrosso at Club Bohemia. Early show! 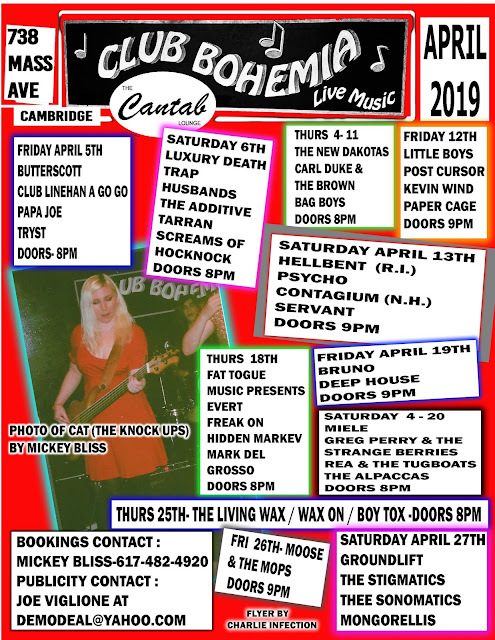 Music starts at 8PM! 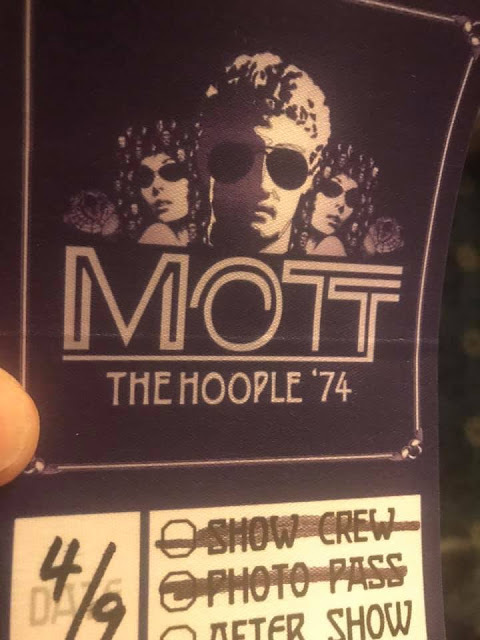 Mott the Hoople is a very special group in this critic's life. 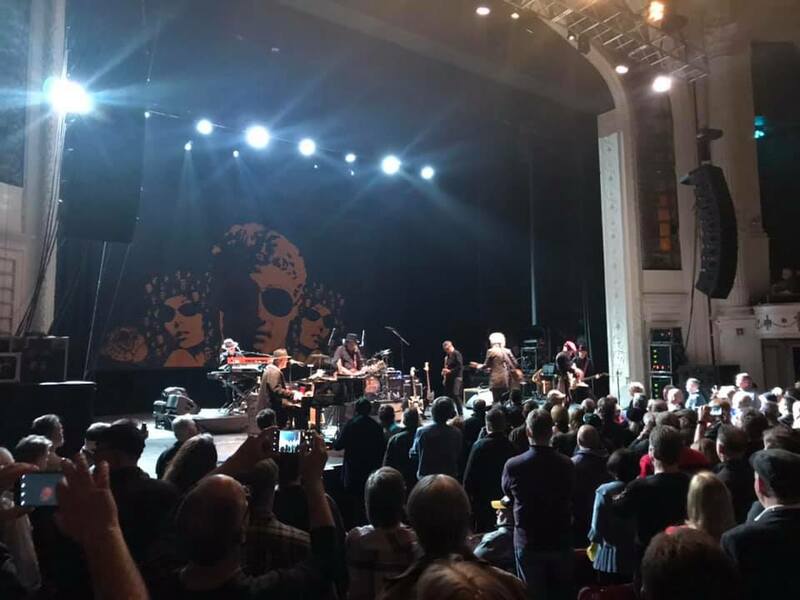 When songs like "Saturday Gigs," "Honaloochie Boogie," and "Roll Away the Stone" were absent from American radio, it was to the detriment of our world of entertainment, that essential soundtrack to our lives. It was like being part of a very large cult and for those of us who thoroughly absorbed the Island/Atlantic releases pre-"All the Young Dudes" (kind of like being a pre-CBS Fender guitar,) the vintage fine wine crowd blended with the youngsters from the 1974 Mott era. "Judy's Turn to Cry" is a song written by Beverly Ross and Edna Lewis that was originally released by Lesley Gore in 1963. The song was produced by Quincy Jones, who also produced Gore's prior hit "It's My Party". It was released on Gore's first album I'll Cry If I Want To and also as a single which reached #5 on the Billboard Hot 100 chart and #10 on the Billboard R&B singles chart. The single earned a gold record. When "It's My Party" entered the Billboard Hot 100 on May 11, 1963, Gore's label, Mercury Records rushed to record a sequel. The sequel, "Judy's Turn to Cry," was recorded on May 14, 1963. In "It's My Party," the singer was in tears because her boyfriend Johnny left with her best friend Judy. In "Judy's Turn to Cry," the singer kisses another boy at another party in order to make Johnny jealous and Johnny hits the other boy and returns to her. In the chorus, which also opens the song, the triumphant singer gloats that "Well now it's Judy's turn to cry, Judy's turn to cry, Judy's turn to cry; 'cause Johnny's come back to me." Until then the singer's "tears just fell like rain drops" because "Judy's smile was so mean." With its emphasis on crying—in this case Judy rather than the singer—the song fit in with the theme of the album I'll Cry If I Want To, in which most of the songs involved someone crying. The song's instrumentation includes drums and horns. Allmusic critic Joe Viglione describes "Judy's Turn to Cry" as having "a monstrous hook as valuable as 'It's My Party' with violence that may have been inspired by The Crystals pushing the envelope with their withdrawn classic 'He Hit Me (It Felt Like a Kiss)'". Viglione also notes that because both "It's My Party" and "Judy's Turn to Cry" are short, both at just under 2:20, and both songs are different from each other, and each starts off with its own identifiable hook, and the choruses are different but the verses tell one continuous story, the two songs could be played on the radio back to back, allowing Gore to sing the entire "soap opera." This song is in the key of D Major, while "It's my Party" is in the key of A Major. Connie Landers sang the two songs back to back on the 2008 album Girls Girls Girls: 1960's Rock N Roll. Author Maury Dean notes that Gore's "crisp soprano uses very sophisticated jazz progressions." Music journalist Lillian Roxon commented that "you could savor every bitchy second of Lesley's triumph with her sequel 'Judy's Turn to Cry.'" "MAIN COURSE" 1975. 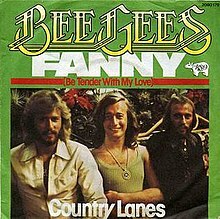 Written by Barry, Robin and Maurice Gibb. Produced and Orchestra arranged by Arif Mardin. Lead vocals by Barry Gibb. "This has to be one the most underrated ever...perfect vocals and flowing music makes it a classic.﻿"
That's exactly how I feel. Back in the 1970s my bassist at the time, Bruce, was mesmerized by this tune. His sister worked for the Maysles Brothers, the first famous directors I was ever in contact with when I was Features Editor of the Arlington High School newspaper, The Chronicle. It was for their promotion of the Rolling Stones Gimme Shelter movie. Bruce eventually took me up to the Maysles' offices in New York where we watched rare excerpts of Beatles footage...have to write my book someday. But the point of all this is that Bruce was right, and very perceptive. Fanny (Be Tender with My Love) is a desert island disc. It has stood the test of time while the other hits on the album, including the exquisite "Edge of the Universe," "Jive Talking," "Nights on Broadway," and "Come on Over" (a big hit for Olivia Newton John) have faded somewhat due to changing tastes and generational issues, "Fanny" has staying power with its brilliant production (Arif Mardin, what do you expect?) and engineering wizard Karl Richardson along with co-engineer Lew Hahn (- of Chaka Khan, Bette Midler and many others fame) ... you have a formidable team. 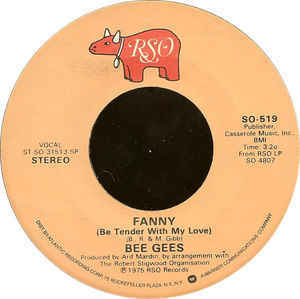 ...having studied the Bee Gees - and the magnificence of "To Love Somebody," they outdid themselves with "Fanny." "Fanny" is one of those songs you wish you had written, at least I do. It's got everything, including taking you by surprise and coming out of left field. The intro, the musicianship, the stellar vocal performance, the melody, the lyric, everything falls into place in this perfect storm, a true diamond emerging from the polish and professionalism. Wikipedia labels "To Love Somebody" as "Baroque pop" and that is the perfect genre/label for "Fanny." It's true. I repeatedly listen to this masterpiece and get a new understanding of the drama, the timing, the impeccable flow, the dynamics. 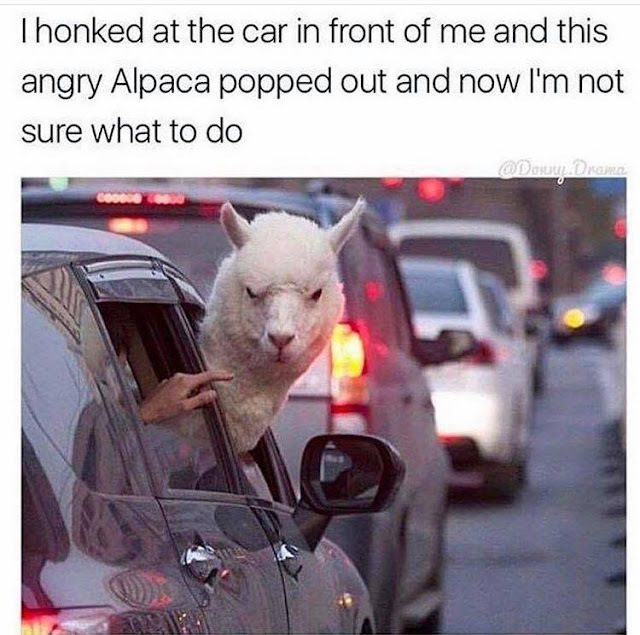 Where did the idea for this come from? And who uses the name "Fanny" for a song anyway? Not as popular as Suzy or Sammy or Amanda, it's just pure genius, deep imagination and lots of craftsmanship and taste. So what am I doing writing at 10:46 pm about a Bee Gees classic when my Mott the Hoople live review from last week is incomplete? I let the spirit guide me as to what I choose to write about ...sports, politics, rock and roll, philosophy... the idea is to keep writing, keep expressing. both dip back into the Dylanesque sound from years earlier, the Island/Atlantic records days. Out of these three songs, the final 45 RPM by Mott The Hoople with Mick Ronson, gets the "ballad" of Mott the Hoople down pat with power and majesty, all due respect for Hymn and Ballad of. It's so great to have these tapes of the original line-up performing the band's final tune. Terence Dale "Buffin" Griffin (24 October 1948 – 17 January 2016) gone 3 years. I will probably pick up this essay at a later date and discuss Saturday Gigs at length. 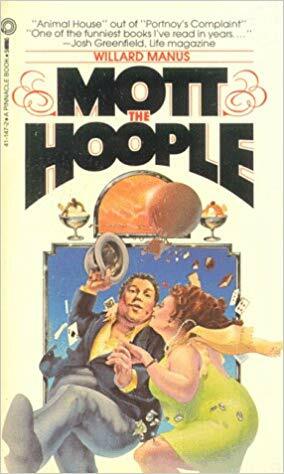 Hooples, to clear this up right at the beginning, ""make the whole game possible, Christmas Clubs especially, politics, advertising agencies, pay toilets, even popes and mystery novels."" 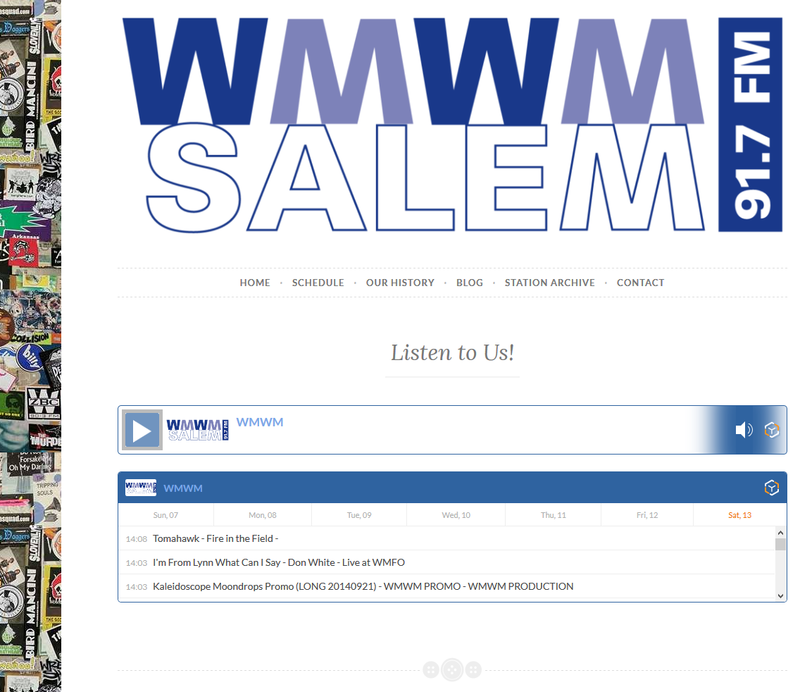 FIRE IN THE FIELD getting airplay!